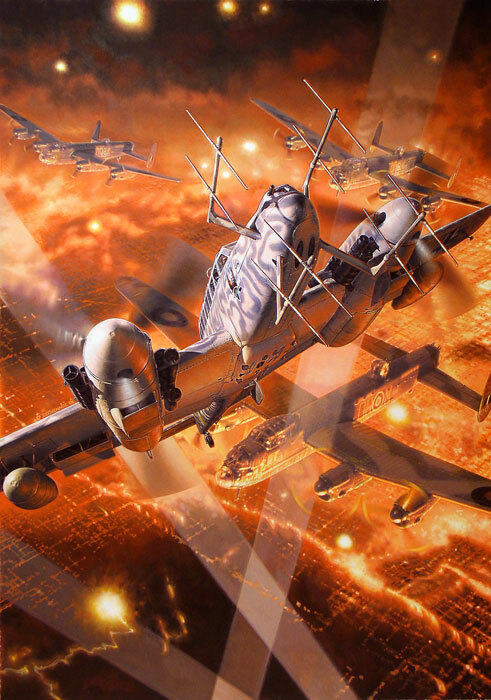 Here is my artwork depicting a Messerschmitt Bf 110 G-4 and Lancasters over Germany entitled "Hell Below". As usual this was created using gouache + color pencils on paper. The size of the original is 35cm x 50 cm.